If you have never seen a clear, starry sky from a place devoid of light pollution then you don’t know what you’re missing. With the naked eye alone from a dark site you’ll see thousands of stars, meteors, the zodiacal light, airglow, satellites, the milky way, nebulas, and occasionally auroras and comets. Check out the Photography page to get an idea. If you bring a telescope or even binoculars you’ll see more detail than you could ever expect to see from a city. I created this website for those who are interested in finding a dark place to observe the night sky or capture the heavens. In the past finding a dark sky was easy: just drive a few miles outside of town. But with increasing light pollution, even driving 50 miles away from a major city isn’t enough to clearly see the stars. Finding a pristine sky is not as easy as it once was. But you can use the Map on this site to help you. 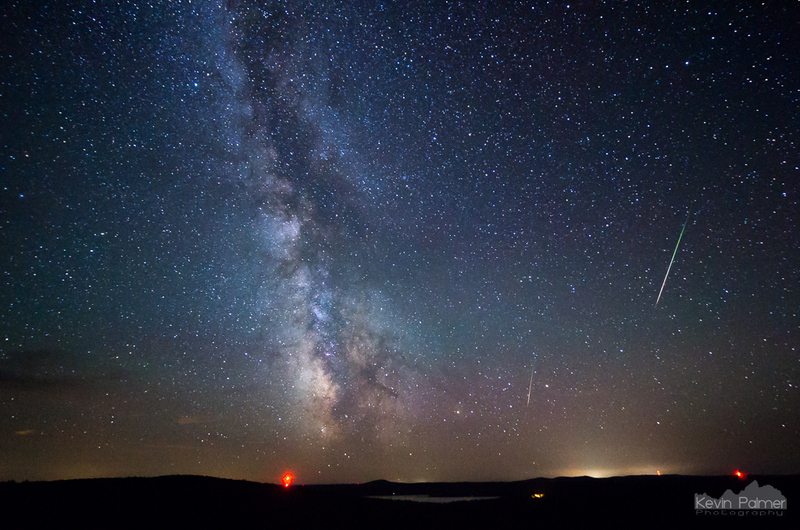 The Perseid meteor shower was breathtaking from Brockway Mountain in Michigan. Tip: Before looking for a dark site, consider what it is you want to see. For many people getting to a 100% dark sky is not possible without spending an entire day driving. But if you look for a site where the sky is only dark in the direction you want to observe, it becomes easier. For example if you want to see the core of the milky way galaxy, look for a place that is dark to the south with no major cities in that direction. If you have any questions or ideas on how to make this website better, send me an email.